Happy Birthday Maggie Thatcher! Britain’s first female PM, also known as The Iron Lady, would have turned 92 today. “If you set out to be liked, you would be prepared to compromise on anything at any time, and you would achieve nothing.” – Margaret Thatcher. 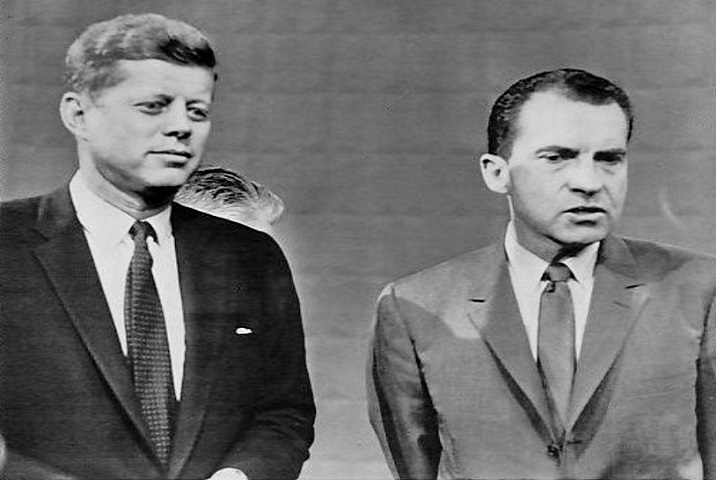 In 1960 Richard Nixon and John F. Kennedy took part in their fourth presidential debate. These were the first ever debates to be televised. Check out the body language of the two men… who would you vote for?